Discussion in 'Free Website Templates' started by Mimoun, Feb 20, 2012. 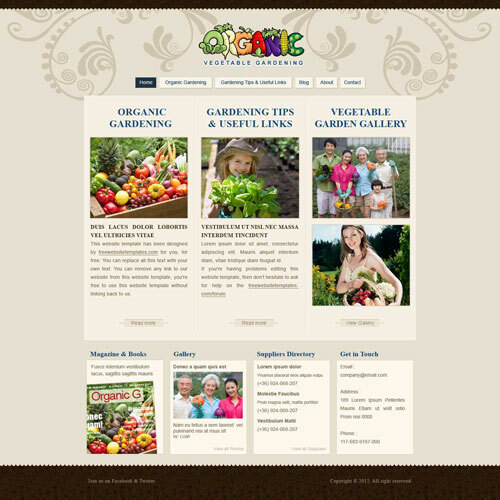 Sell your organic produce to a larger market with this clean and simple website template. All these new templates are awesome Mimoun. Where do you find the time!? I don't make the templates by myself I have a whole design and programming team to do this with. I'm basically just the creative director (euphemism for not doing much). creative director (euphemism for not doing much). When I was 'just' a housewife I quoted my employment status as "Managing Director of Internal Domestic Affairs"
"Managing Director of Internal Domestic Affairs"
Now that's what I call a great title! All housewives should use this. It is after all a very hard and important job that doesn't get the respect it deserves.